Ryanair, Europe’s No.1 airline, today (21 April) launched its Eindhoven winter schedule (2016), with a new route to Sofia, 2 new winter services to Murcia and Palma, and more flights to Alicante, Krakow, Malaga and Tenerife, which will deliver 2.2m customers p.a. and support 1,650* jobs at Eindhoven Airport. Wizz Air today announced it will run flights between Eindhoven Airport and Kaunas International, Lithuania from September of this year. Kaunas will join Vilnius to become the second Lithuanian city served by Wizzair from Eindhoven airport. This morning at 08:15hrs, an incident was reported at Eindhoven Airport. An ASL Aviation Group Cessna Citation 525 business jet was stranded on the runway during take-off due to issues with its wheels. Today at 18:45hrs marked the departure of the first Transavia flight between Eindhoven Airport and Munich Franz Josef Strauss airport. Eindhoven Airport has started preparatory building work for a new baggage hall which is to be on the ground floor on the right-hand side of the terminal. The Central Government Real Estate Agency has awarded the contract for the renovation of the take-off and landing runway at Eindhoven Airbase to BAM Infra. The Central Government Real Estate Agency has awarded the contract for the renovation of the take-off and landing runway at Eindhoven Airbase to BAM Infra. The contract is worth 10.7 million euros. Eindhoven Airport achieved 11% growth on passenger numbers during the first nine months of 2015, compared to the same period in 2014. Dutch airline, Transavia, today announced it will be introducing flights from Eindhoven Airport to Munich and to Prague as of February 2016. Spanish airline, Vueling today announced it will be operating flights between Barcelona El Prat (Spain) and Eindhoven Airport as of April 2016. Eindhoven Airport has increased passenger numbers by 13% in the first half of 2015 compared to the same period in 2014. 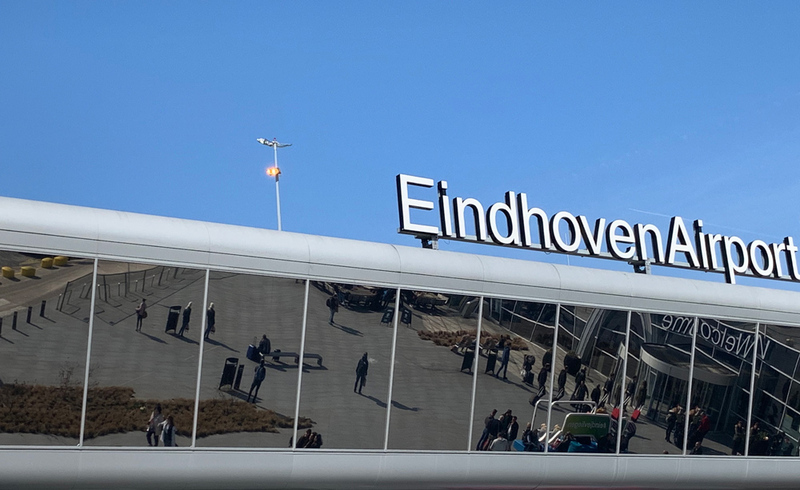 Plans were announced this morning for major improvements to the external area of Eindhoven Airport and accessibility to it.